I almost saw someone die today. What would have been the cause? Stupidity. Seriously. I was just minding my own business, driving home. There is this one intersection I hate. You can see the diagram of it below. You have to cross two sets of train tracks and turn left. 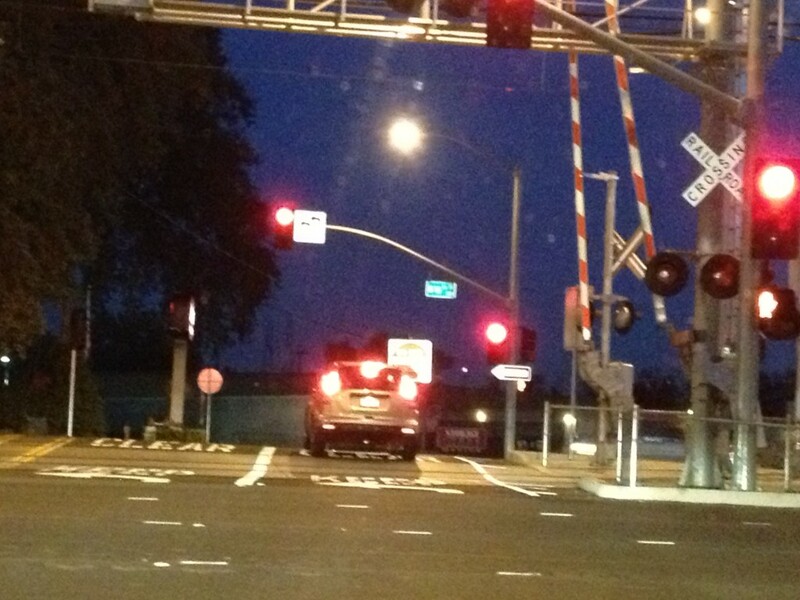 The stop light is fairly short and gets even shorter if a light rail train approaches. 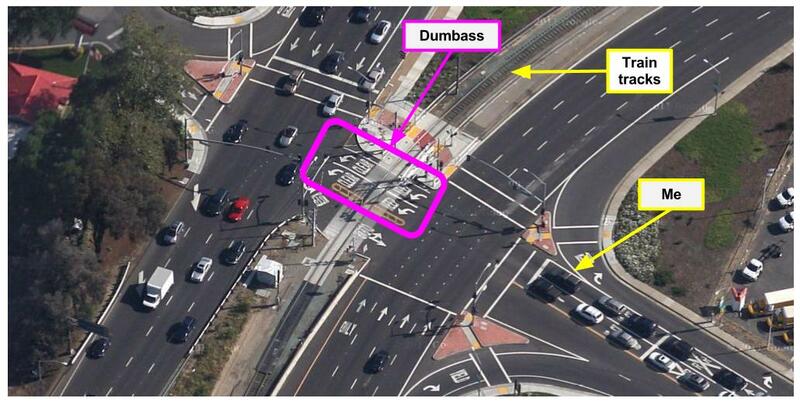 Add to this equation the fact that people in Sacramento are not exactly quick on the uptake when the light turns green. There is something inherently wrong with the synapses in their brains. They fire more slowly than anywhere else I’ve ever driven. 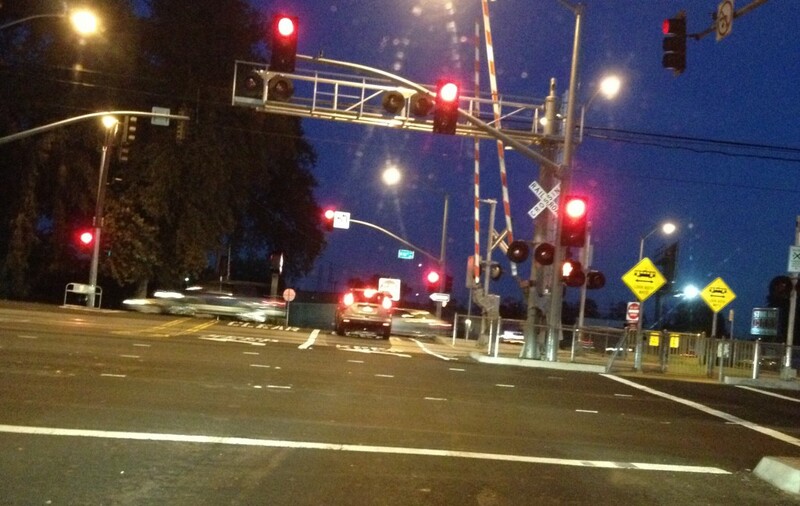 So, I am cautious when I approach this intersection because God forbid I get stuck on the tracks behind some dumbass. My caution saved me today. While I was approaching the light, it started to turn yellow, so I stopped. The dumbass in front of me did too…in the wrong place…right on the damn tracks. It was like watching a really bad action movie. Things like this don’t happen in real life, do they? People don’t just stop on train tracks, do they? Their sense of self preservation is stronger than that, right? Notice the crossing arms…The car is in between them. I started freaking out, covering my eyes, wondering if I should duck from any possible shrapnel flying my way. By some miracle, the dumbass moved the car just before the arm went completely down in front of it.